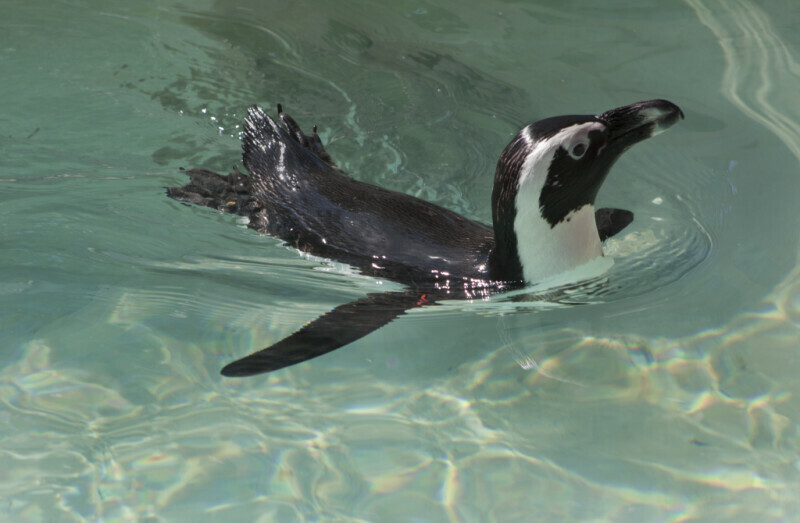 An African penguin swimming in the water at Lowry Park Zoo. These penguins are found on islands near the coast of South Africa. WARNING: You are about to download a 12.6 MB TIFF!